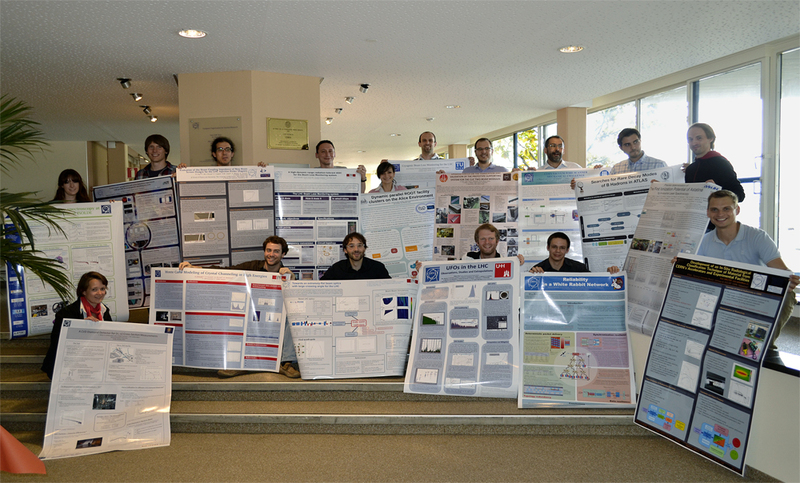 Last week, the second Doctoral Student Assembly gave students in the final stages of their PhD at CERN the chance to meet and present their work. On 9 May, 24 students who are completing their PhD under the CERN Doctoral Student Programme were joined by their CERN supervisors and some of their university supervisors at an event organised by HR and the Technical Students Committee (TSC). After an address by the Director-General Rolf Heuer and short presentations by Ingrid Haug from HR and TSC Chair Stephan Russenschuck, the students presented their work in a poster session. Held in a packed Council Chamber, the event was a great opportunity for the doctoral students to get to know each other and to share their work in fields as diverse as radiation protection, computing, physics and engineering.